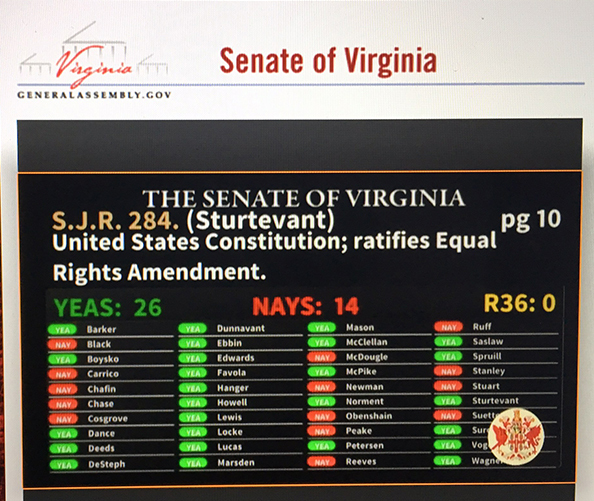 The Virginia Senate just voted 26-14 to ratify the ERA! Send your love to the VA Senate now. Kamala, Natalie, Jules, John, Dr. Brigitte and the EME Team.